FACT Notification 2019.Fertilisers and Chemicals Travancore Limited (FACT) has released a notification for the recruitment of Diploma & Trade Apprentices vacancies.Check the eligiblity and notification prior to apply for the positions. Selected candidates will get Technician ( Diploma) Apprentices: Rs. 8,000/- pm – Trade Apprentices: Rs. 6,018/- to Rs. 6,770/- pm from the organization. 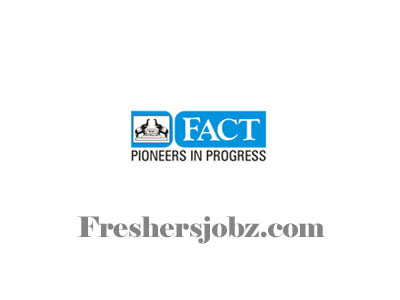 Look around for “FACT Recruitment 2019 for Diploma & Trade Apprentices Posts“.